Following Alphacool’s motto of “The next step in modding and style”, the Aurora is an easy way to illuminate your reservoir with powerful colour. Versions are available in red, blue, green, white and also UV. 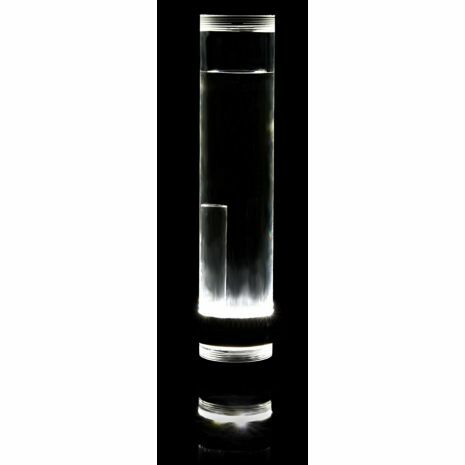 This last one is especially suited to UV-active fluids, where the fluid itself begins to glow. Two sizes are available, one for tube reservoirs with a diameter of 50 and one version for 60mm. 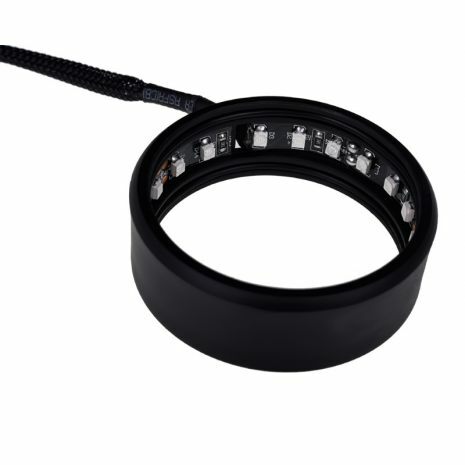 The 50mm version is equipped with 18 LEDs, the 60mm with 24 LEDs. 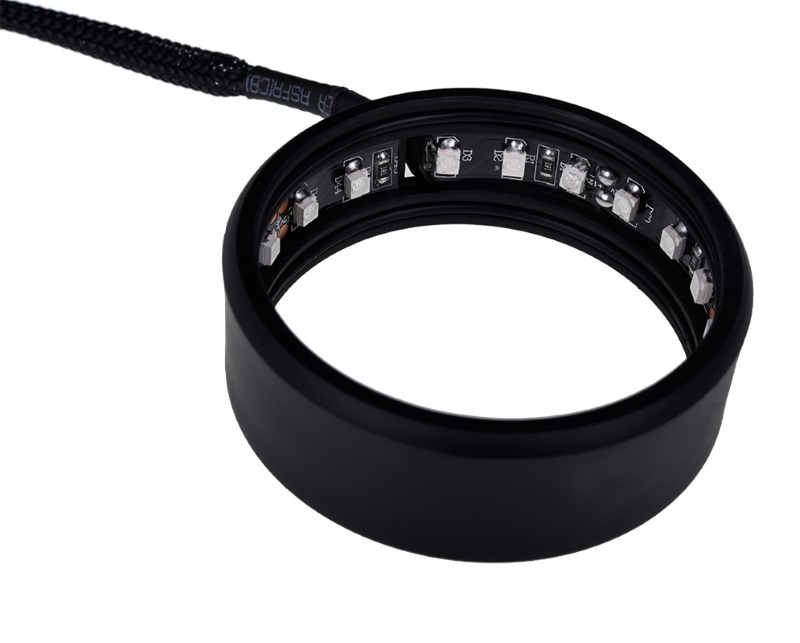 Due to the high number of LEDs, the illumination is normally much stronger than with the classic setup of single LEDs. Of course, you can also install two or more Auroras on one reservoir. Installation is incredibly simple. No tools of any sort are required. The Aurora is simply placed over the reservoir and holds itself in place with two rubber rings. 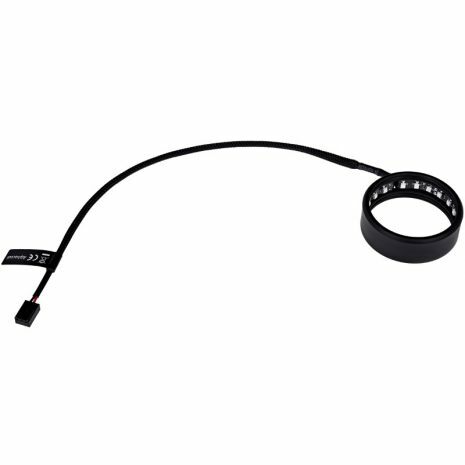 The LEDs are supplied with power through a 3-pin Molex connector. 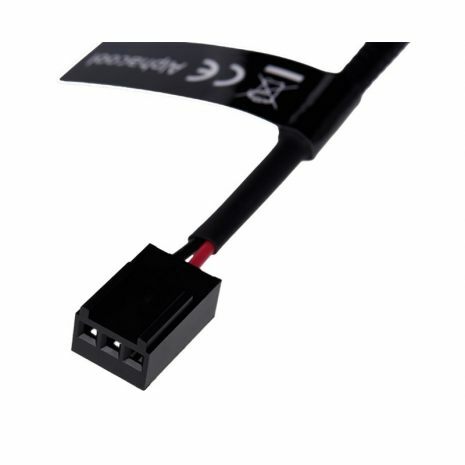 This can come from your motherboard, a separate fan control, or straight from your power supply with an adapter cable. 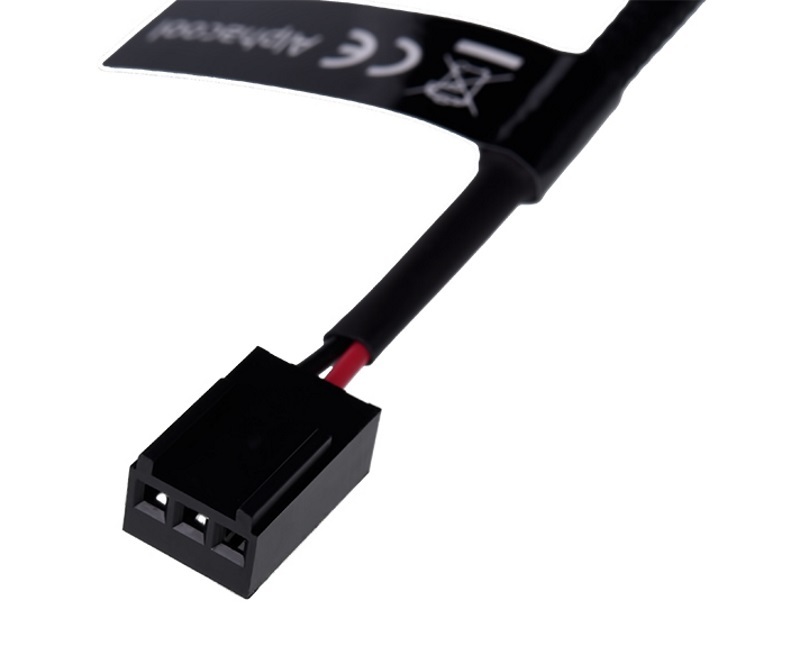 For this last method, you will generally need a 4-pin Molex to 3-pin Molex adapter, or alternatively a SATA to 3-pin Molex adapter.